Raise your hand if you’ve liked a brand and then unliked them because your Facebook feed is flooded with useless updates. Raise your hand if you’ve ever liked a brand and then hidden them because your feed is flooded with useless updates. Brain Solis makes a very good point in an article published on Social Media Today. He says that a crucial mistake many marketers make is to assume that when someone Likes their brand they’ve automatically opted in to every single marketing message the company cares to send their way. Solis cites a discussion he had with Erik Verdonck in which Verdonck says that a Like has fleeting value – the user likes a particular product, service, promotion, competition or link at a particular time – but is still not completely won over by the brand in its entirety. It’s up to the brand to keep earning Likes and convert casual fans into evangelists who can then subscribe to newsletters or whatever other marketing spiels are released on a daily or weekly basis. 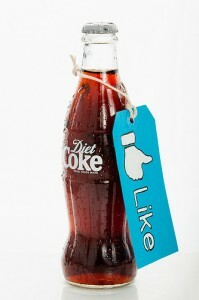 This means that brands have work hard to keep their Facebook interactions interesting and engaging. The idea is to get users so excited that they seek out the brand to see what’s new. It’s not for the brand to fling out inanities and hope for the best. For example, there is a company that makes quite nice rice; and it has a Facebook page. Should you like the page, you will get no end of rice recipes. You don’t subscribe to the recipes, you don’t get to choose which recipes you’d like (e.g. only vegetarian recipes), and you can’t specify whether you’d like recipes on a daily, weekly or monthly basis. Every now and then, at irregular times – whammo, a new, random recipe appears in your feed. Josh Wolford, WebProNews, reports that Facebook is looking to launch a “Want” button. Now, a Want would, in theory, carry far more weight than a Like and would be far better suited to marketing products or promotions. But, marketers should note that wanting something is also not the same as opting in to everything. They’re difficult lessons to learn, but very necessary if brands don’t want to alienate the fans they have – no matter how temporary.